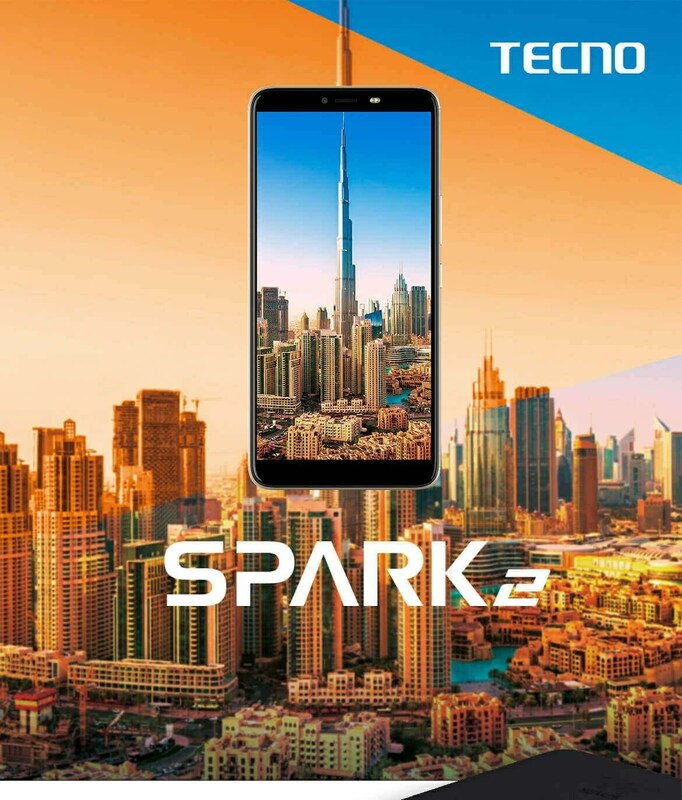 One of Africa’s mobile telecommunication giant, TECNO mobile, has released an updated version of their TECNO Spark series – the TECNO Spark 2, which is currently one of their bestselling smartphones, comes with a number of new exciting features. It has already been announced in Kenya and will be available first on Jumia Kenya before getting to Nigeria and other African countries. The Spark 2 comes with lots of advanced features, ranging from MediaTek’s MT6580WP chip (with 4-cores of the processor), to support for Face ID. Design: The new spark series comes with sleek unibody curved antenna lines. 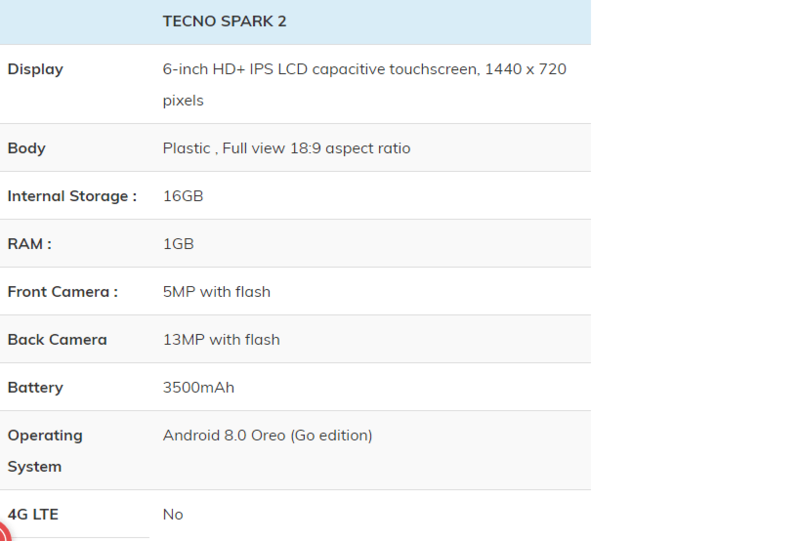 According to Tecno, the Spark 2 will be one of the world’s thinnest smartphone, measuring about 5.7mm in thickness. Another noticeable change is the camera placement at the back. It is cleaner and the LED flash is separate from the camera lens, unlike the K7, where the lens and led flash are housed together. Also, it comes with a fingerprint scanner, just in case you’re not freaked by the Face ID. Display: The new Spark 2 comes with a 6-inch display, which is 0.5 inches bigger than last year’s edition (Spark K7, which had 5.5 inches). The screen has a higher resolution of 1440 x 720 pixels, which enables it to display sharper images. Face Recognition Unlock: Good news for those who are tired of using the fingerprint scanner. The Face recognition software on the new Spark 2 will allow you unlock your smartphone using your face. Battery: The new Spark 2 comes with 3500mAh battery, which should last up to 12 hours on moderate consumption. Spark 2 has no 4G LTE: The Spark 2 does not support 4G LTE Network. So if you’re looking for a smartphone with 4G capability, maybe you should look elsewhere. It has Low RAM and Internal Storage: Another area TECNO didn’t improve on is the RAM and Internal storage. It comes with 1GB RAM which is too small for a device considering how far smartphone tech has gone. Though it has 16GB inbuilt storage, the OS and pre-installed apps take a large portion of the memory, leaving the user with just 11GB. This, however, can be sorted out with the availability of a memory card. 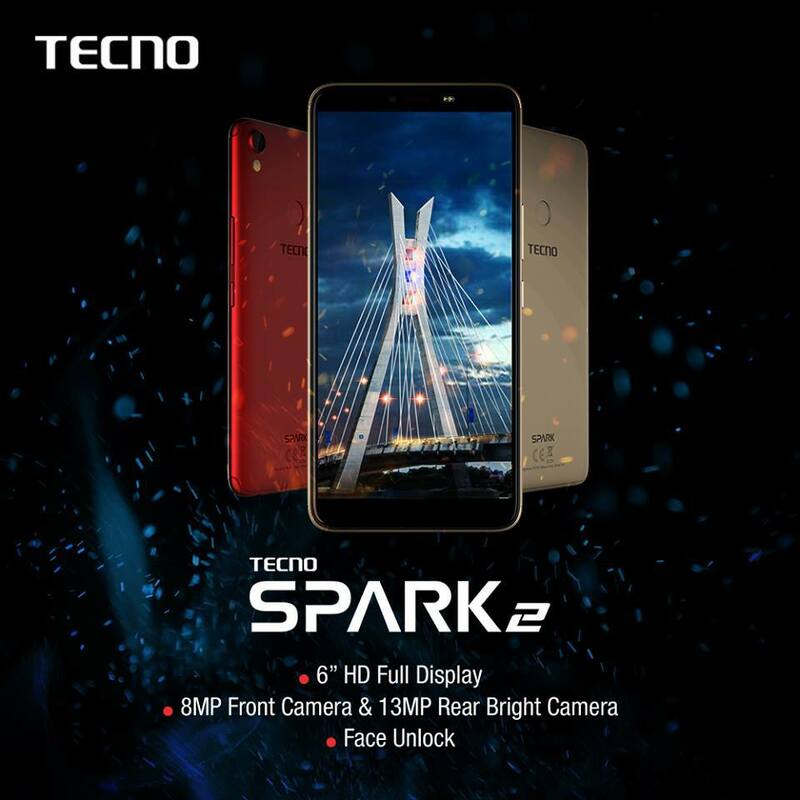 The fingerprint is Magnet: Just because the TECNO Spark 2 is a fingerprint magnet, users should be ready to have their fingerprint all over their phones whenever they hold their device. It is not a big deal though, but this could make you want to consider buying a phone case.